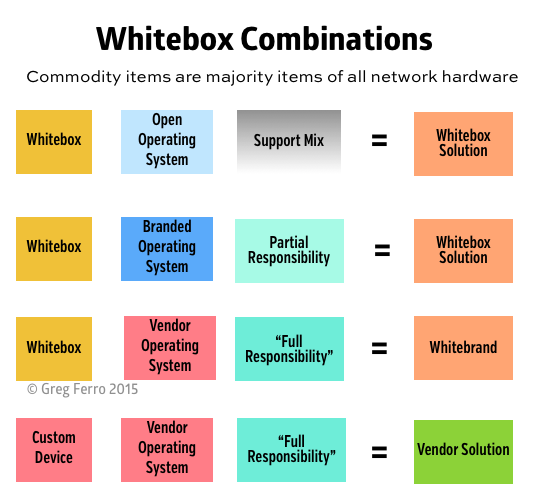 During a recent client engagement I was asked to explain the different options around whitebox Ethernet products. I drew up this diagram to explain how I see four different categories of Ethernet switches emerging in to the market. 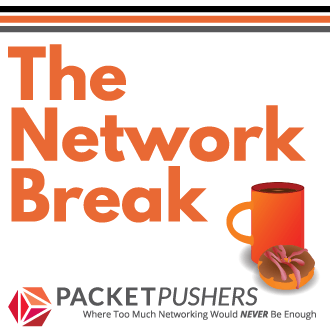 There are four broad categories of Ethernet switch emerging in the market. The Vendor Product is the dominant product today and widely used. This is the current market position. 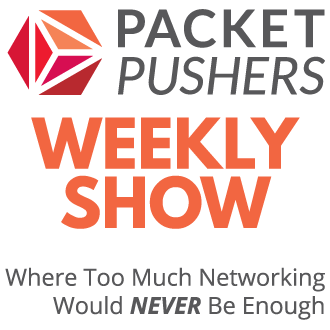 Whitebox enables new market category of software-only networking vendors to sell operating systems for standardised Ethernet switches. Whitebox plus Vendor support creates new market opportunity (Juniper and HP). There are customers and use cases for all of these solutions. What about DELL S4810-ON and DELL s6000-ON, it is a new type “Open Vendor Solution” = Custom Device + Branded Operating System + Partial Resposibility ?